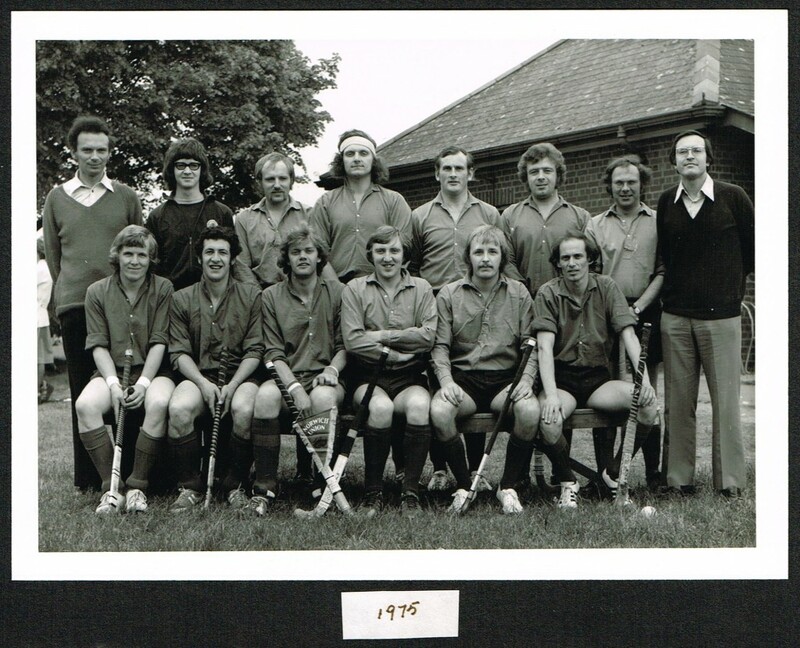 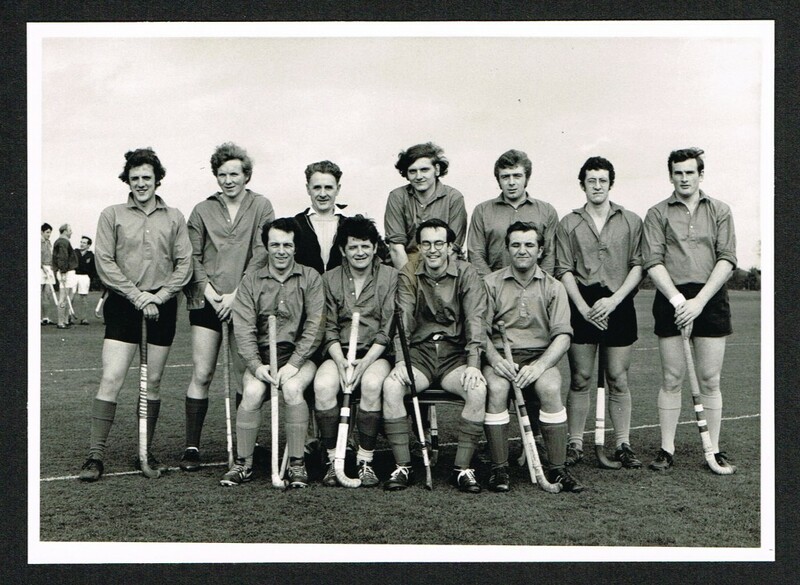 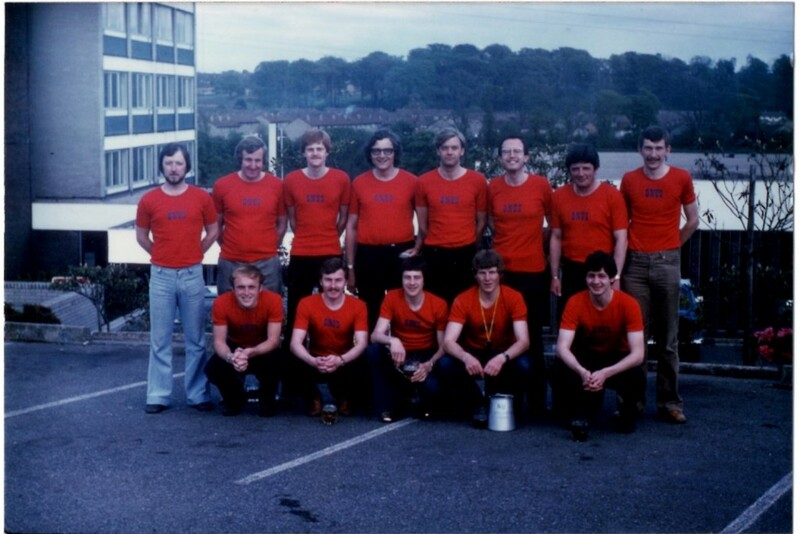 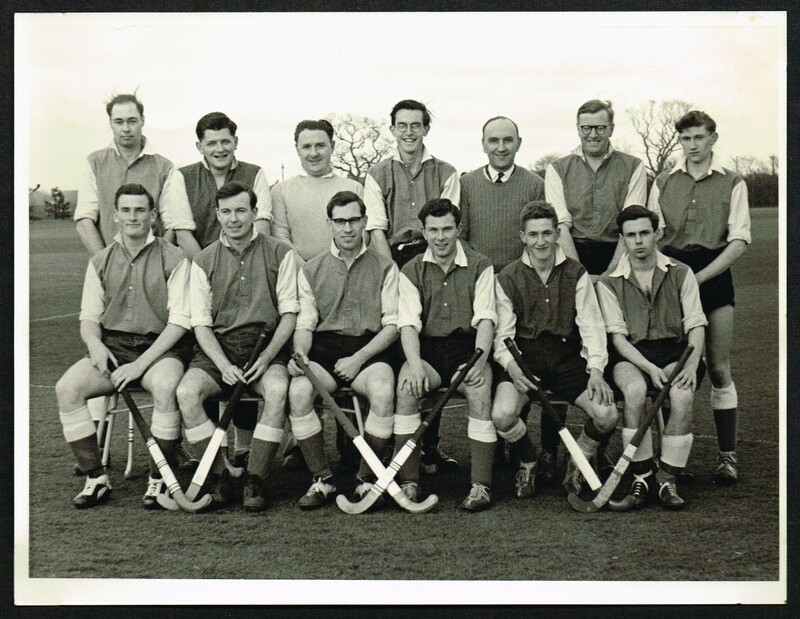 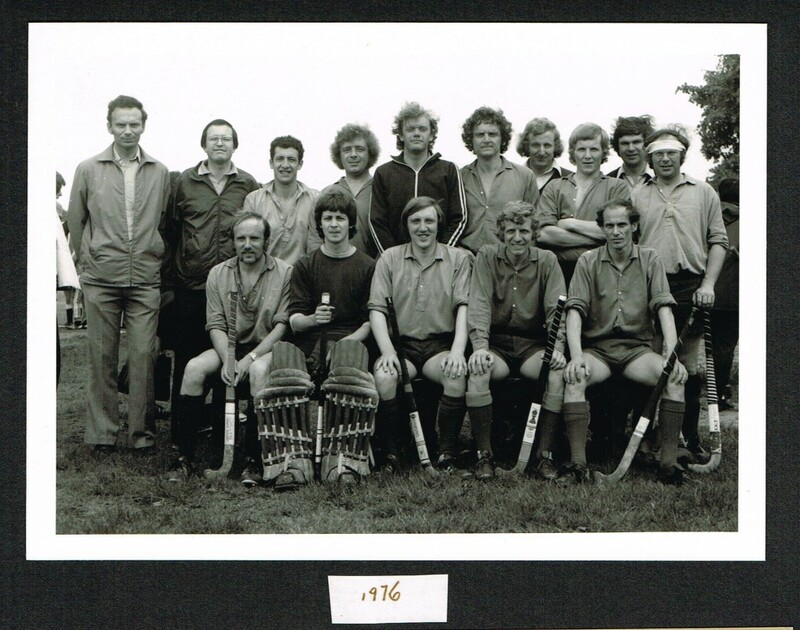 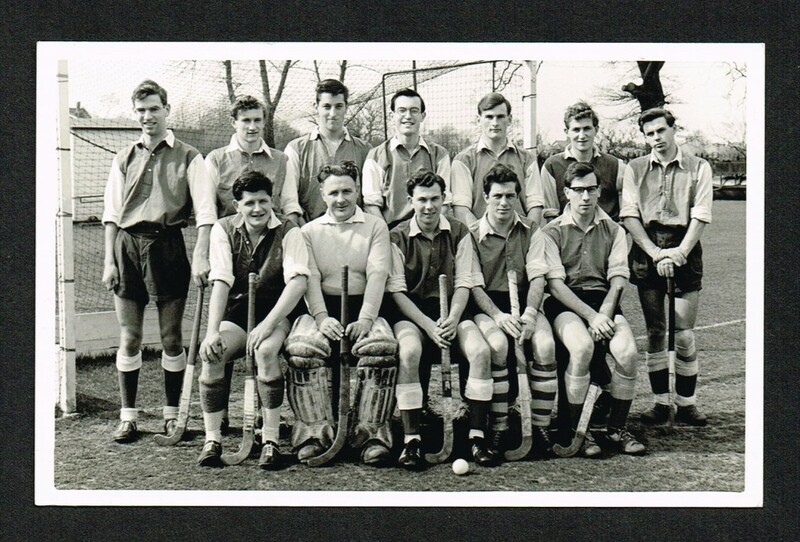 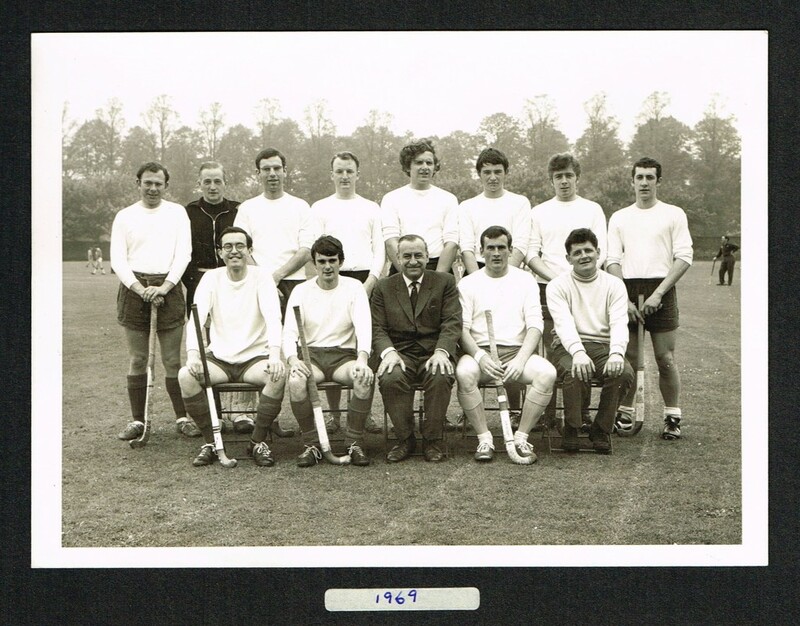 During this period in the Club’s history, we celebrated our 50th Anniversary and the NU Men’s Hockey Club were annual competitors in the Cardiff Whitsun International Hockey Festival organised by Llanishen Hockey Club. 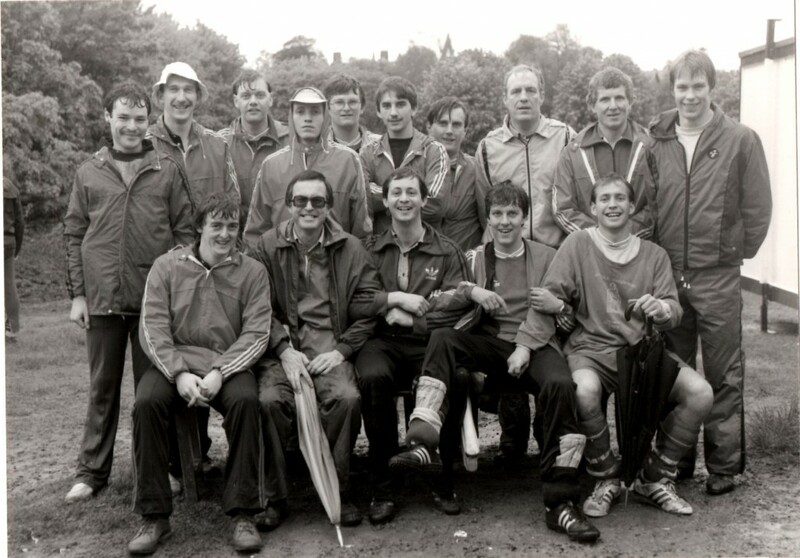 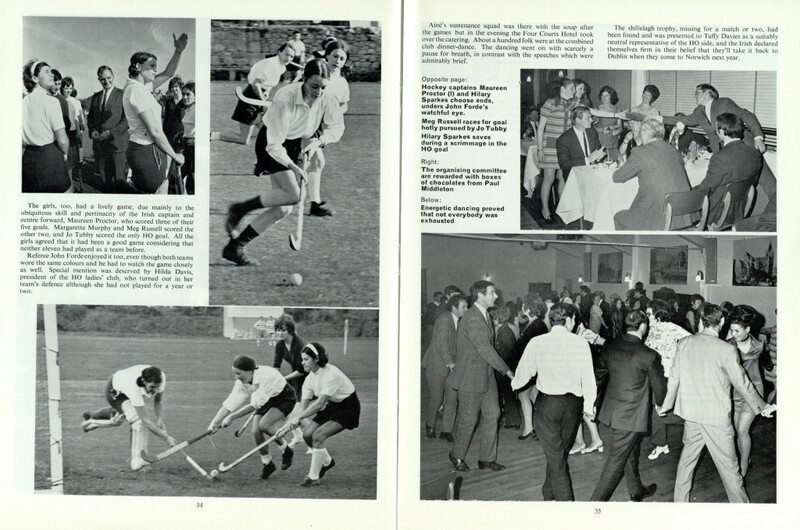 In 1968 the Welsh Club held its first Festival on Llandaff Fields in Cardiff, and for 30 years this was a great hockey event over the Spring Bank Holiday with teams from all over UK and Europe playing on the 9 grass pitches at Llandaff Fields, and celebrating/commiserating in the Llandaff Rugby Club bar. 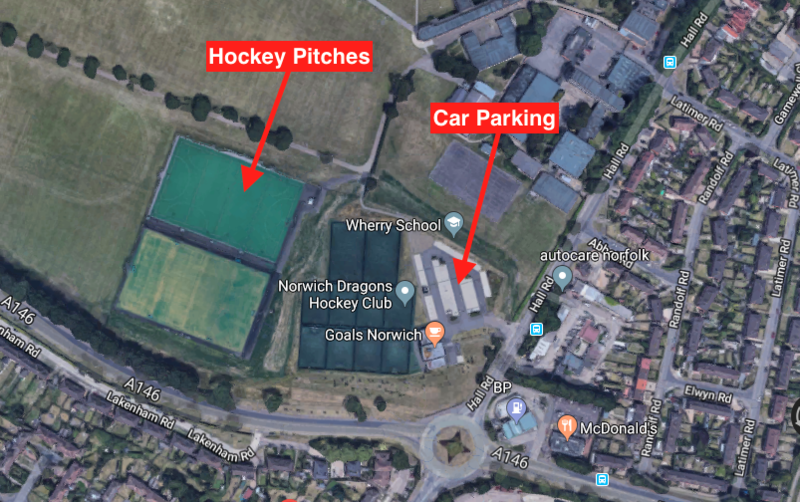 “Our president, Mr C.N.A.Hill, recently announced that after five years it is time to stand down and we are very grateful to Mr Hill for his support and encouragement during his term of office. 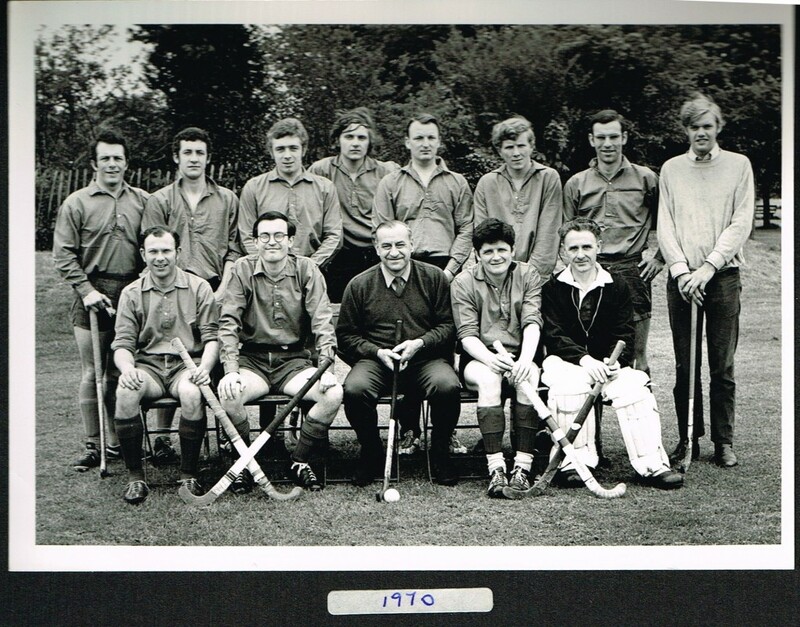 Mr A.C.Aldridge has kindly accepted the committee’s invitiation to succeed Mr Hill. 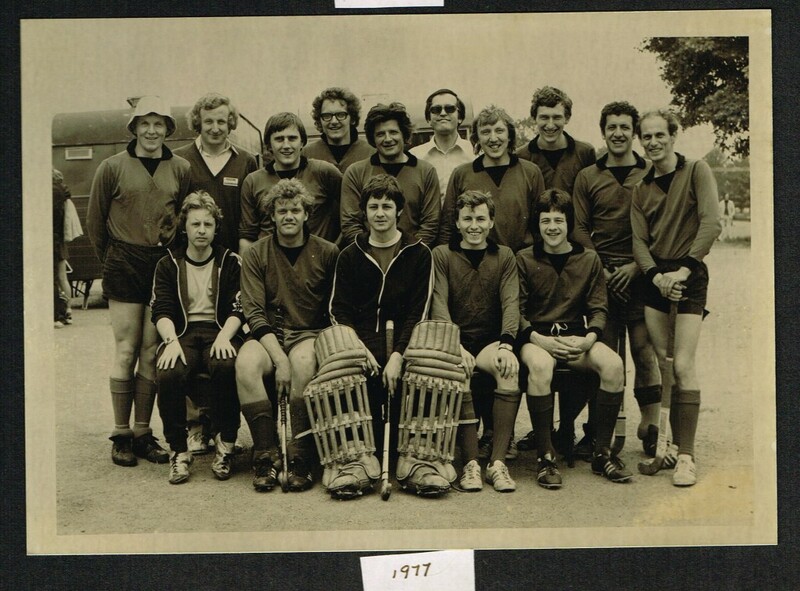 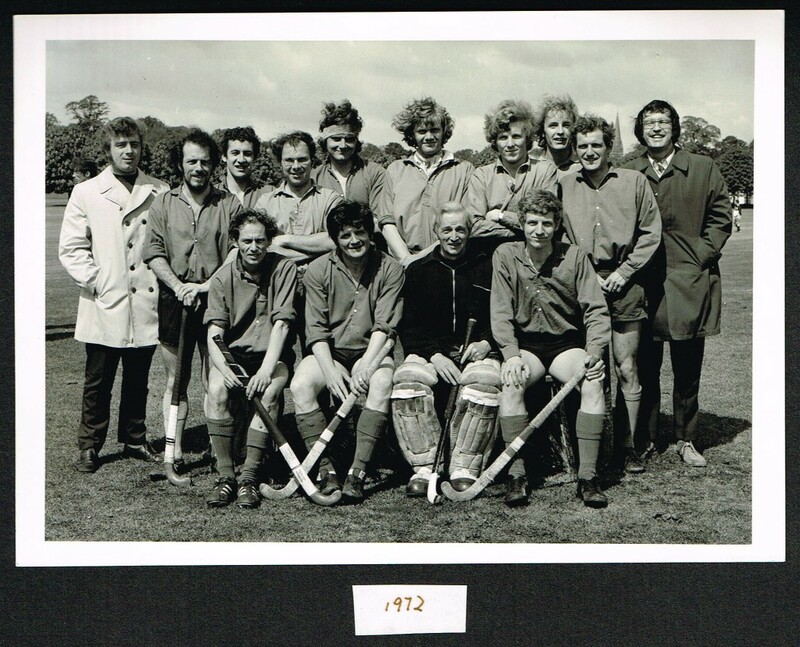 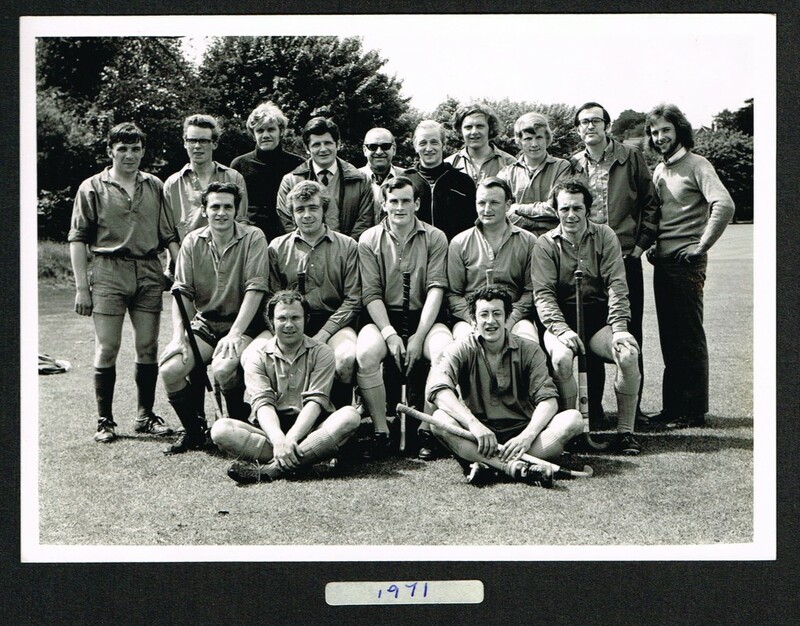 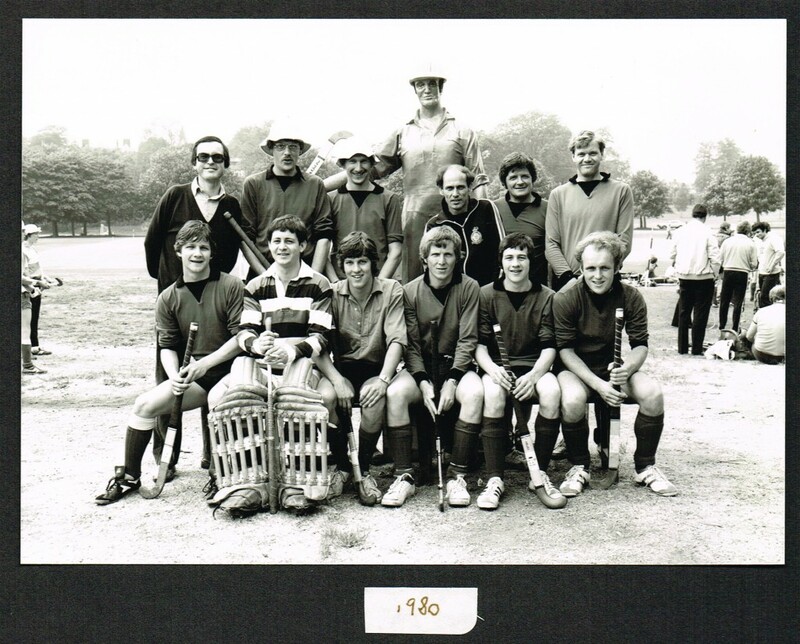 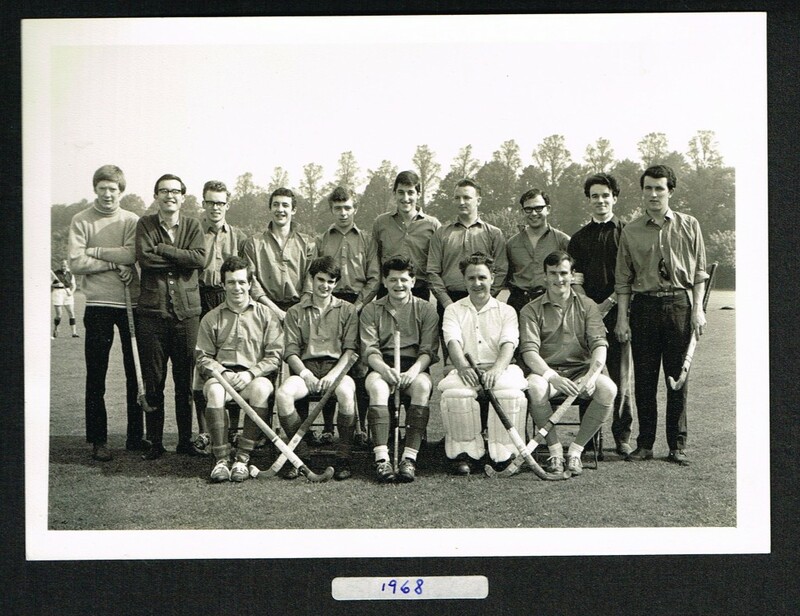 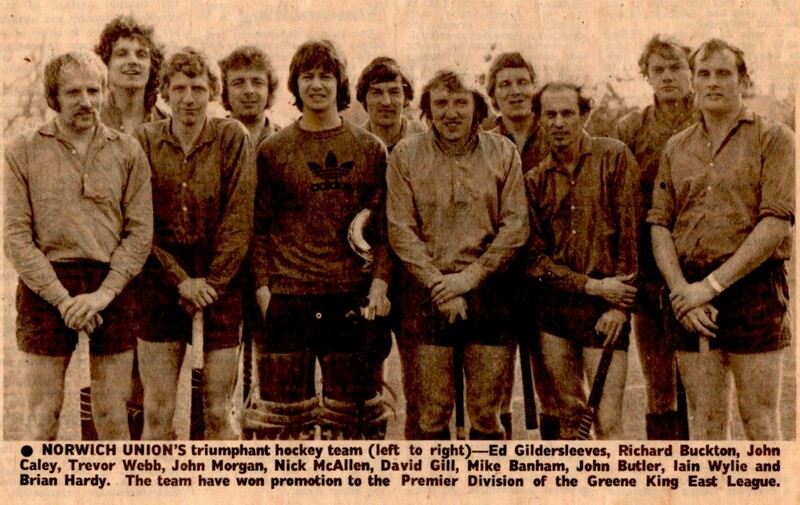 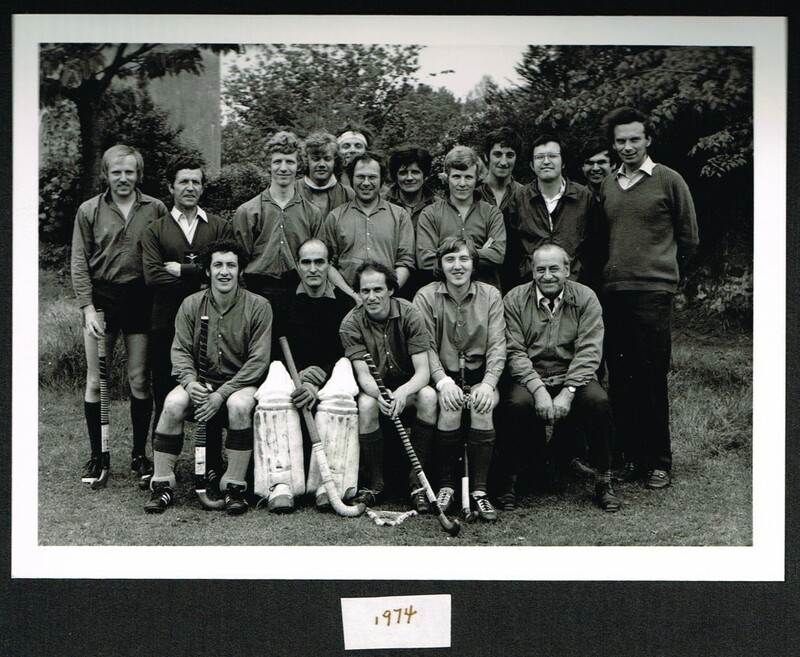 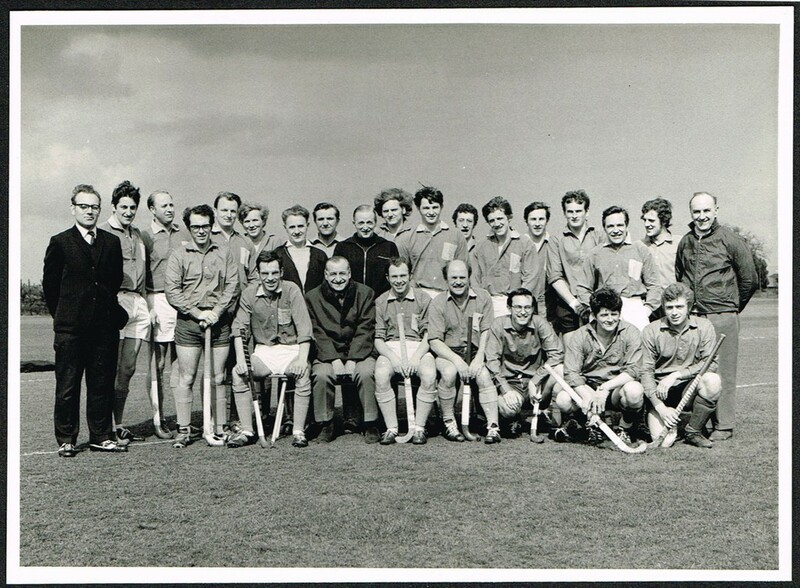 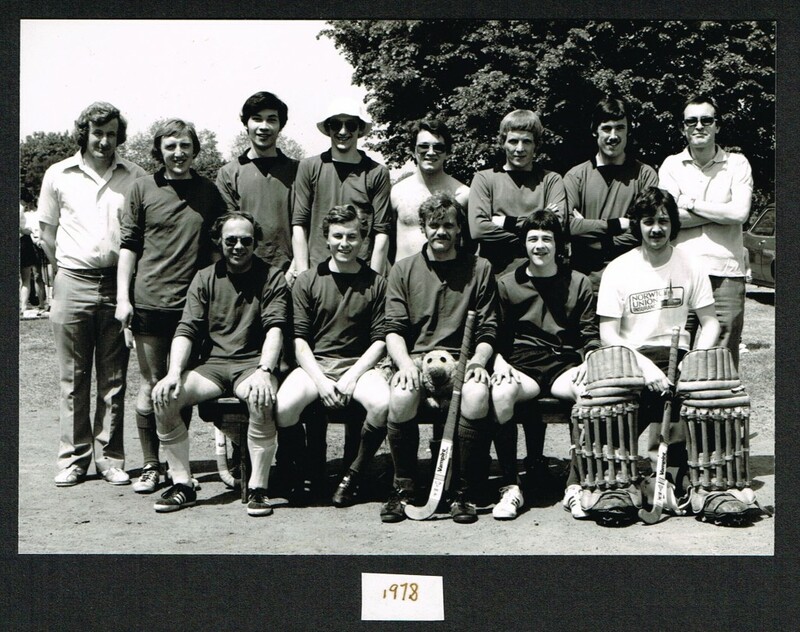 The highlight of our extended 1967/68 season was our participation in the first Cardiff Whitsun international hockey festival organised by Llanishen hockey club. 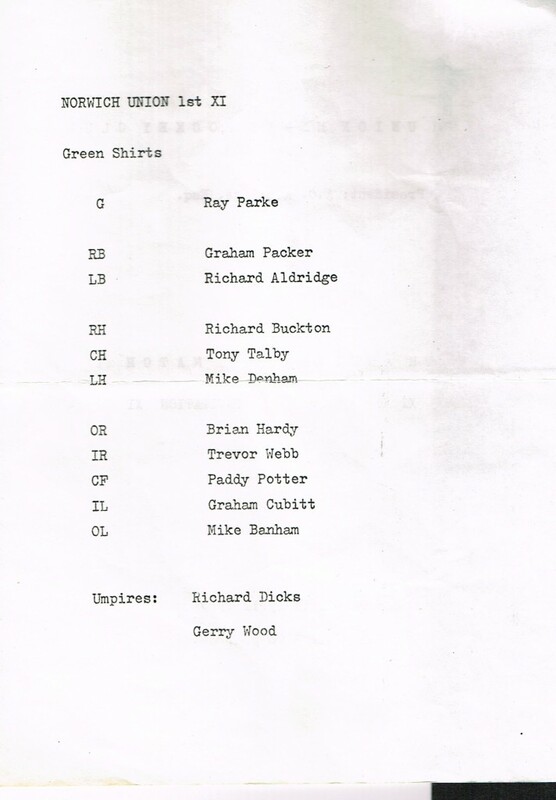 Our party of twenty-five consisted of fourteen players, several wives, girl friends and babies and one overworked team manager! 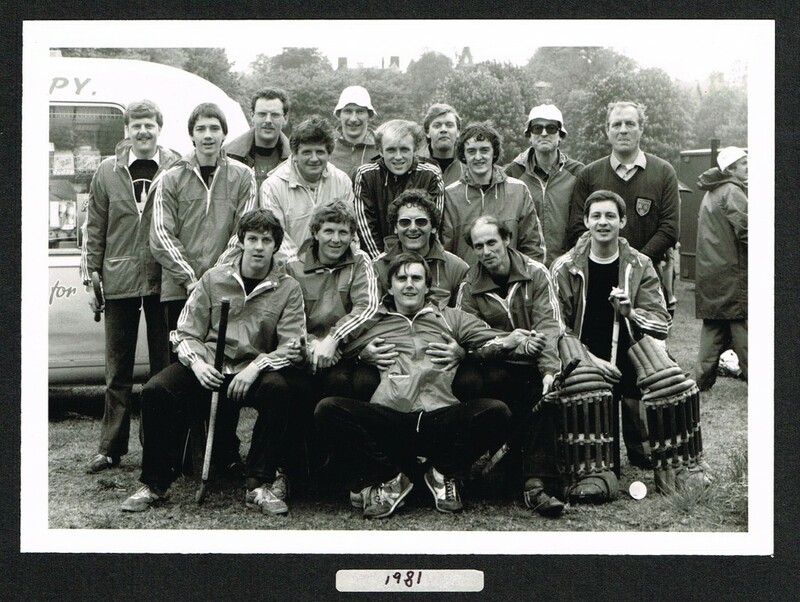 We had a most enjoyable weekend on and off the field. 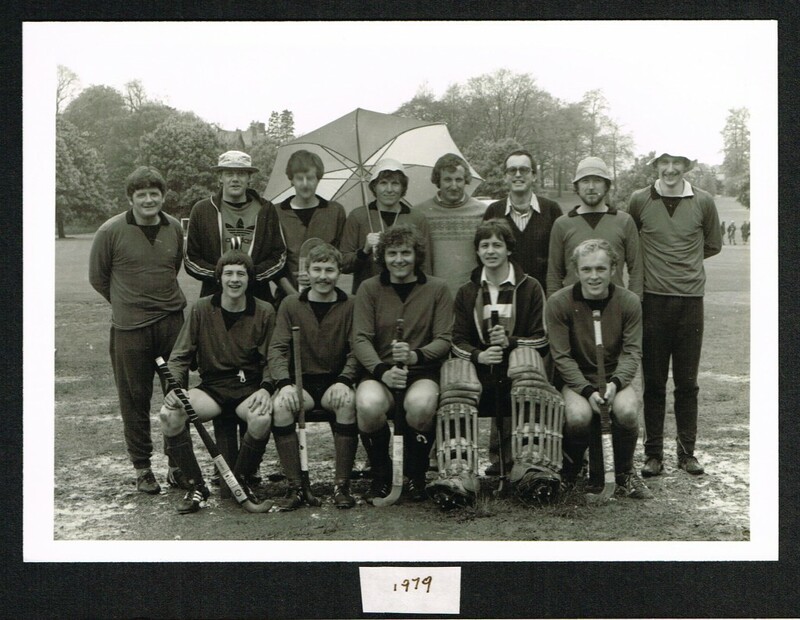 We played five matches, winning one, drawing two and losing two and while this was not a particularly impressive record we played good hockey against some of the best teams in the festival. 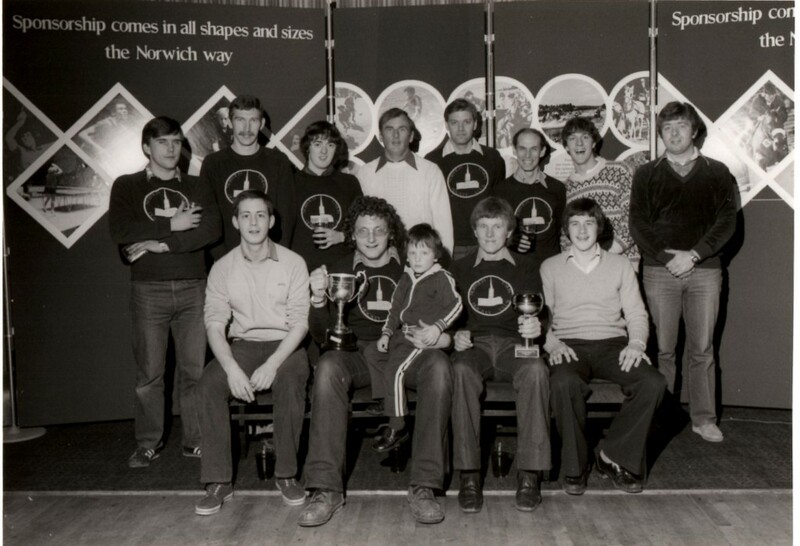 We were pleased Chris Gerrard and Rod Palmer were able to join our party and their efforts were much appreciated. 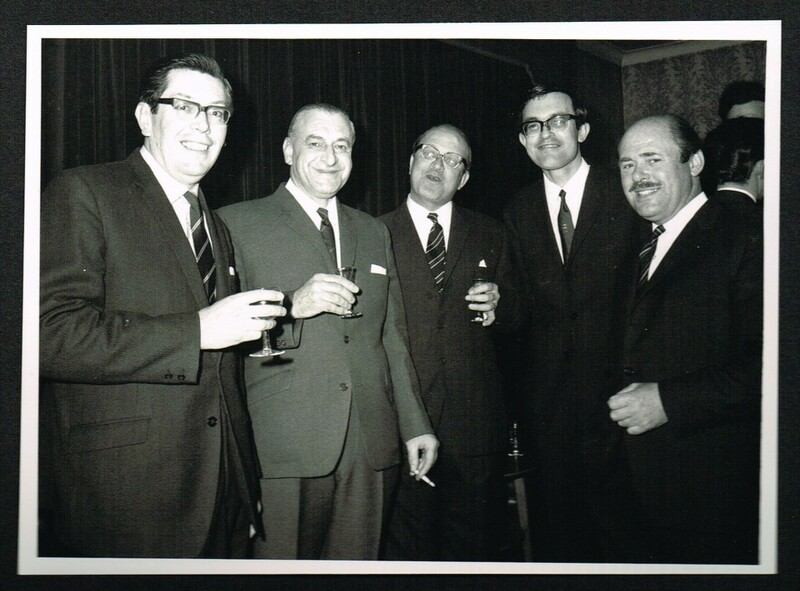 The most significant event during this period in the Club’s history was the 50th Anniversary of the founding of the Club. 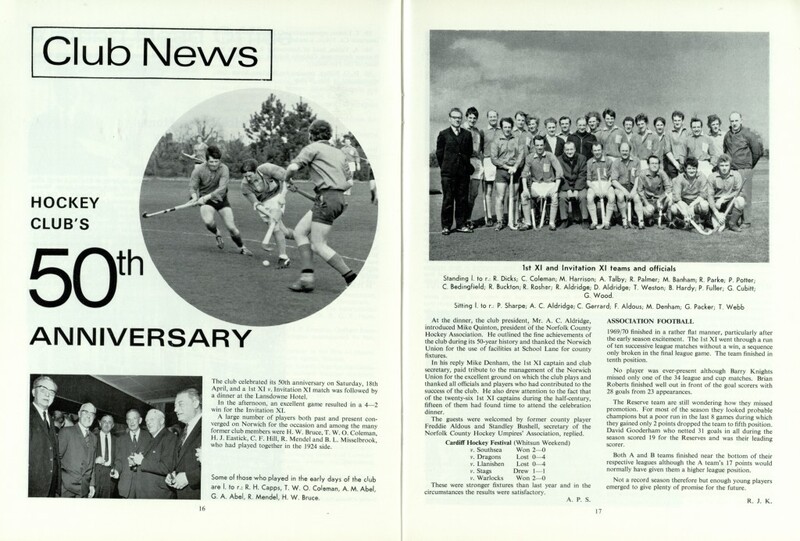 The Event was marked by the Men’s Club by holding a match between the 1st Team and an Invitational Team on Saturday 18th April 1970. 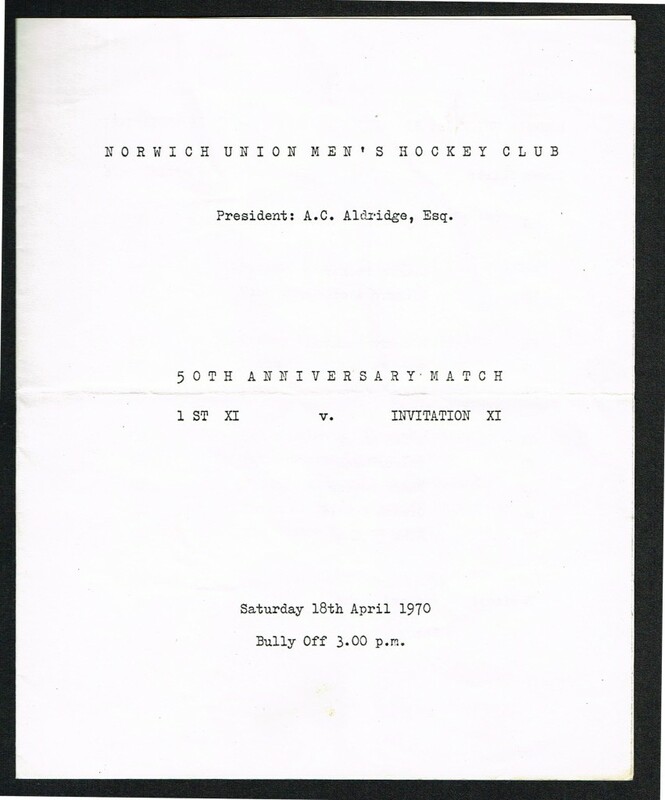 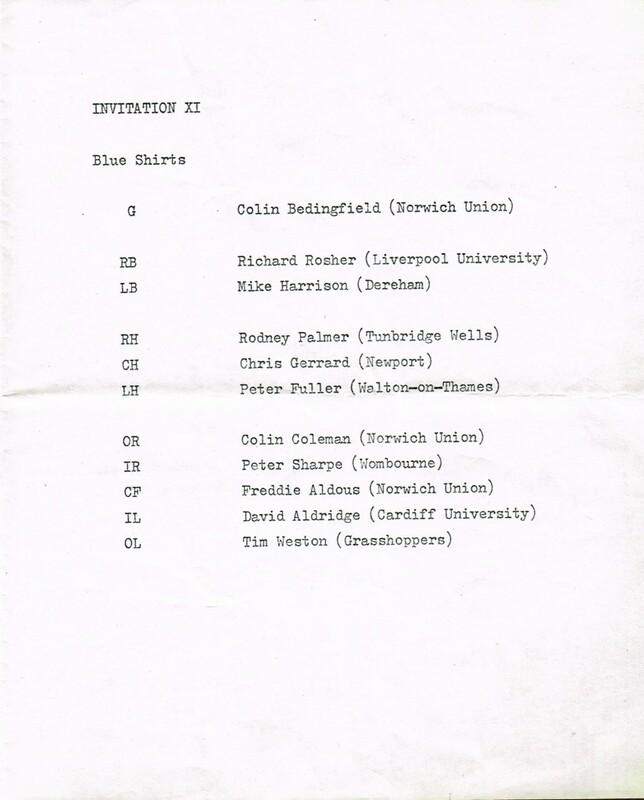 Thanks to Mike Denham you can see scans of an original programme for the Match. 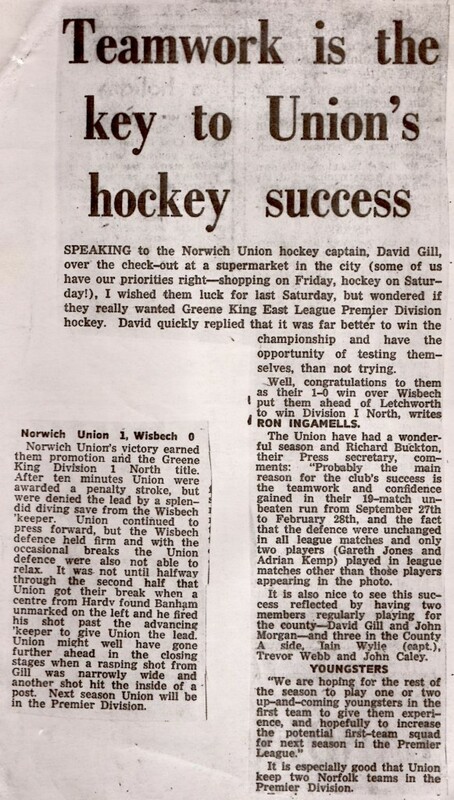 The Norwich Union Staff Magazine celebrated the occasion with the following double page article. 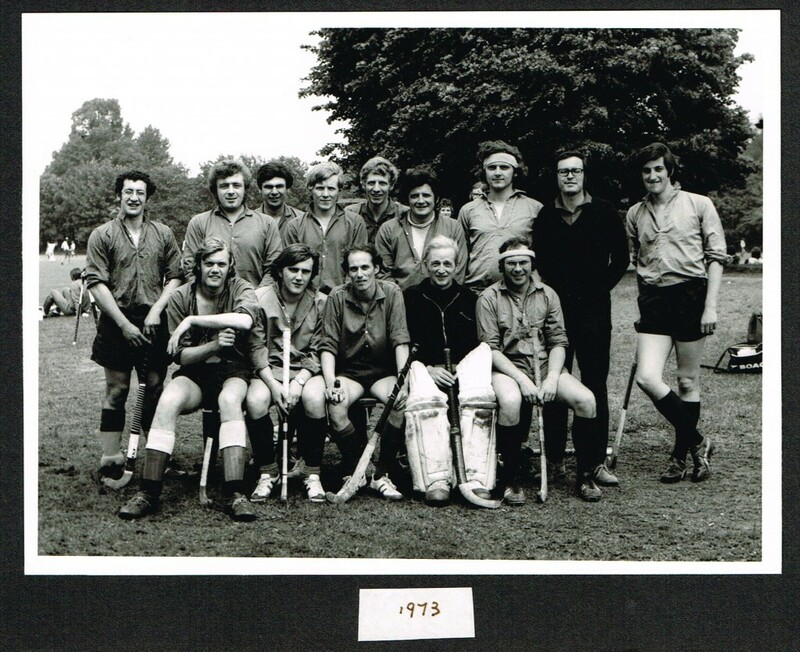 Also in this year, the annual Head Office and Irish Office tournament took place in Dublin. 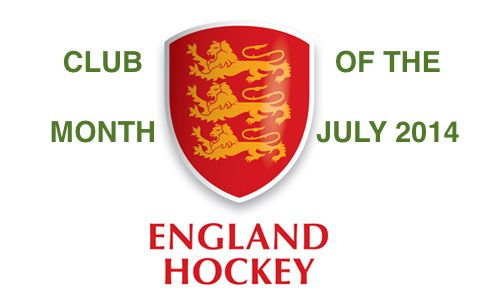 At least one player should be recognised by most of you!